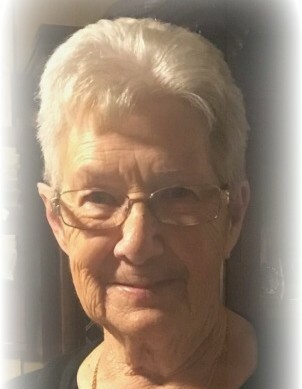 Anna Mae Cardwell Annis, 78, of Bowling Green, Ky. passed away on Sunday, February 10, 2019 at the Medical Center of Bowling Green. She was born in Butler Co., Ky. on March 27, 1940 to the late Kenneth and Exie McKinney Cardwell. Anna Mae retired from Union Underwear, returned to school at age 60 and earned an associate degree in accounting. She went on to work for Medquest for several years. She was an avid NASCAR enthusiast, loved country music, cooking for her family and growing beautiful flowers. She was everybody's granny and always helped anyone in need. She was preceded in death by her parents; youngest son Anthony Alan Annis; brothers Eddie and Ernest and sister Wilma. Anna Mae is survived by her daughter Pamela Manning (Tim) of Bowling Green; sons Gregory Annis (Shirley) of Morgantown and Michael Annis (Jan) of Wake Forest, N.C.; brothers Richard and Stephen "Bo" Cardwell; sisters Tish Webb, Norma Jean Embry, Wanda Elmore, Phyllis Nelson and Teresa Hines; eight grandchildren; ten great grandchildren and several nieces and nephews. Funeral service will be held at 1pm on Saturday, February 16, 2019 at Smith Funeral Home with Bro. Gary Embry officiating. Burial will follow in Hill Haven Memory Gardens. Visitation will begin Friday, February 15 from 5-8pm and Saturday 9am until time of service at Smith Funeral Home.